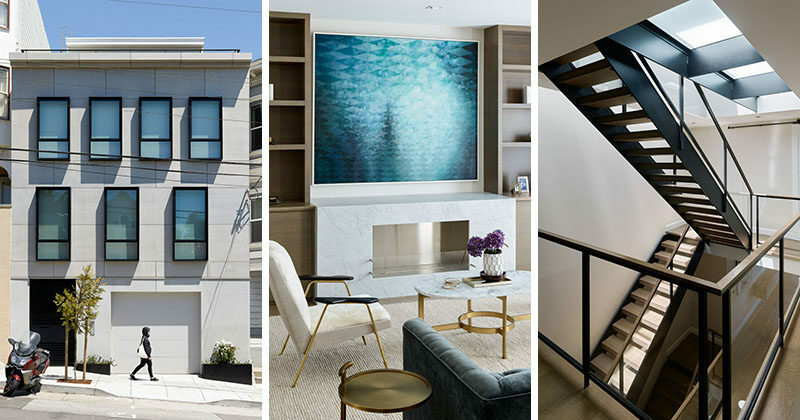 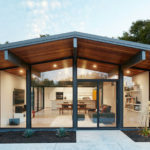 Feldman Architecture has completed the contemporary remodel of a house in the heart of Noe Valley, a neighborhood of San Francisco, that was once a jumbled floor plan full of awkward, dark, and narrow spaces. 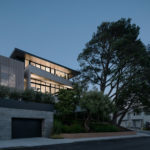 The home’s front facade features cement panels above with stone slabs at street level, while the windows are framed with ancillary steel boxes. 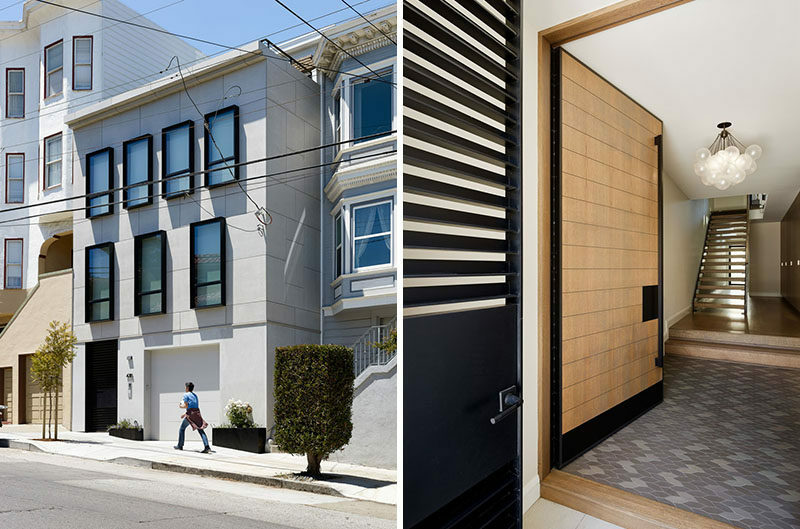 A modern metal entry gate opens to an exterior mud room by the front door. 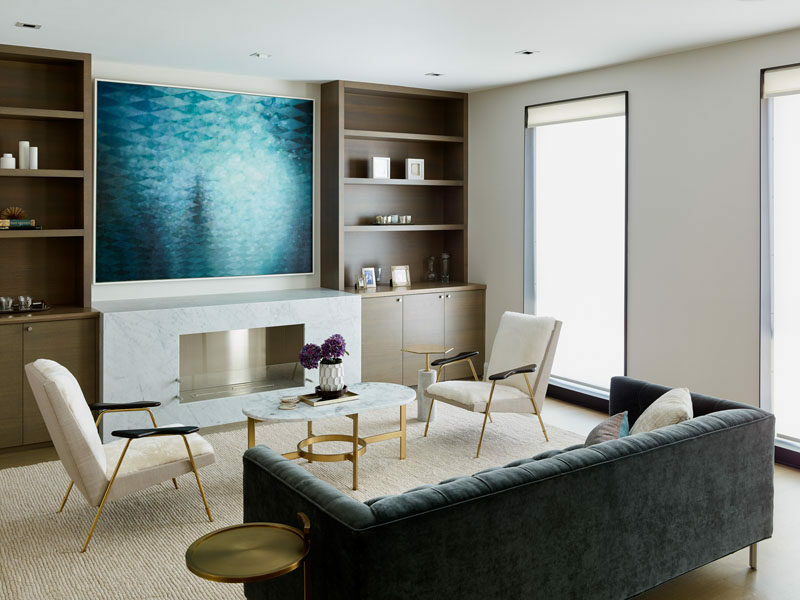 The main floor of the home is dedicated to the social areas, like the living room, that overlooks the street through the tall windows. 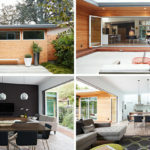 In the kitchen, a combination of wood and light-colored cabinets create a contemporary appearance, and an extension of the kitchen island allows a casual dining experience. 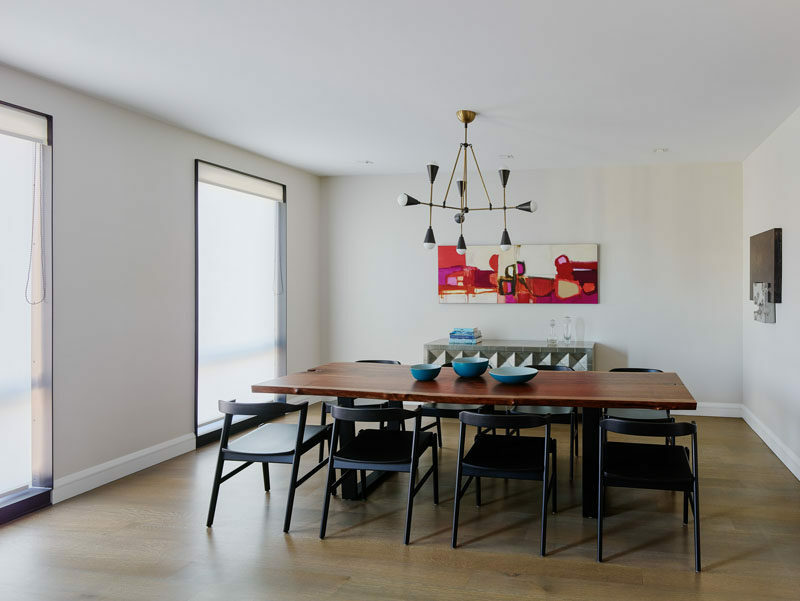 For more formal dining, there’s a dining room with a large wood dining table sitting below a minimalist chandelier, and artwork on the walls. 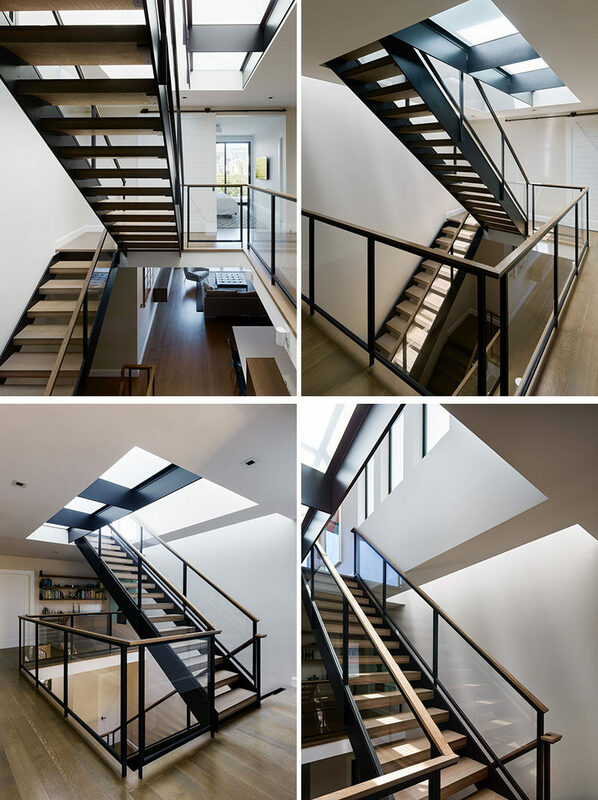 A staircase, comprised of solid oak treads and a steel and glass rail, connects all four levels, channeling light from multiple skylights and diffusing it throughout the interior living spaces from the roof deck to basement. 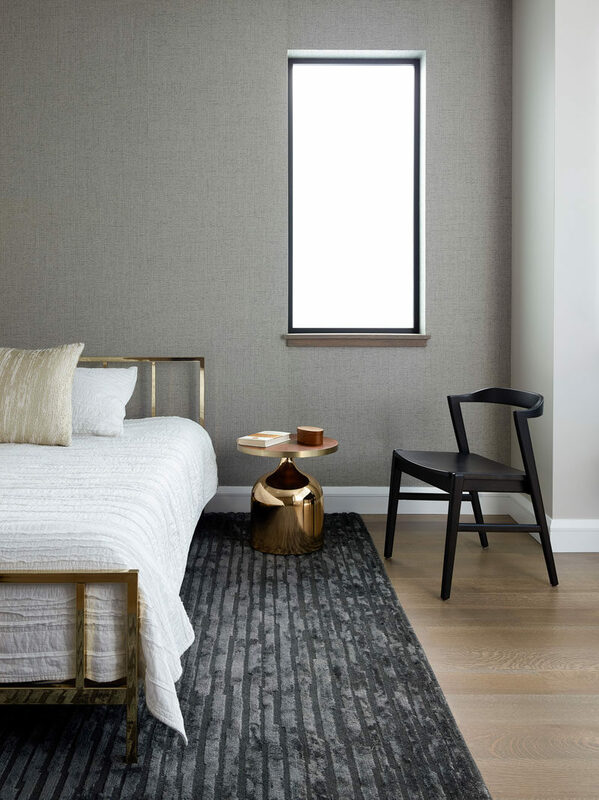 In the bedroom, a grey rug complements the grey accent wall, while the black chair ties in with the window frame, and the gold accents add a metallic touch. 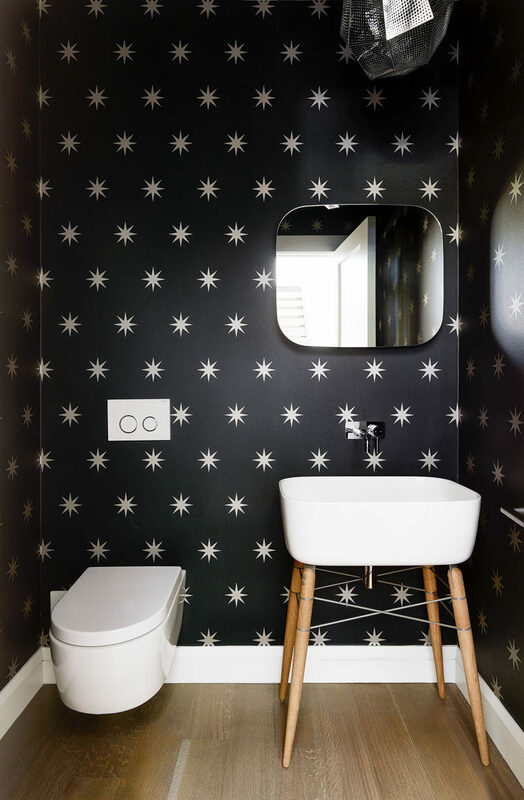 In one of the bathrooms, black and white wallpaper covers the walls to a create a fun and unexpected look. 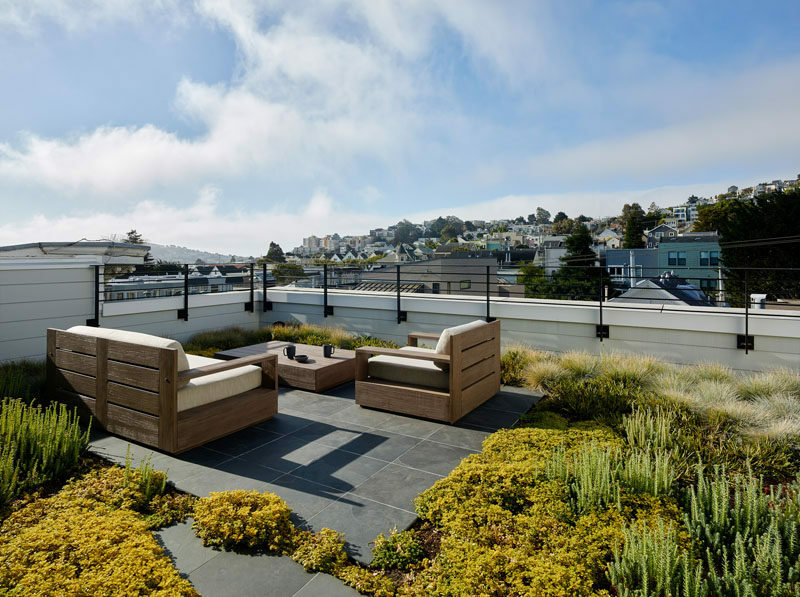 On the roof deck, there’s a small sitting area that’s surrounded by a succulent garden.